Everyone should have a well-stocked first-aid kit at home, in the car and in the workplace. You may also want to stock a portable kit that can be taken to the site of an emergency. “Check your kit regularly to replenish items that have been used, and to replace items that are out-of-date,” says pediatrician Debra Carter, MD, with LVPG Pediatrics–Trexlertown. Be sure any member of your family who has a special medical need wears a medical alert bracelet or similarly designed necklace at all times. These engraved items can alert emergency responders to a person’s medical condition(s), allergies, sensitive medication(s) he or she takes, or the presence of an implanted medical device. These items are available through many vendors, including online retailers and local pharmacies. 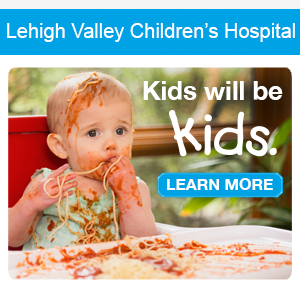 Visit LVHN.org/children to learn more about Lehigh Valley Children’s Hospital and to find a health care provider for the kids in your life.